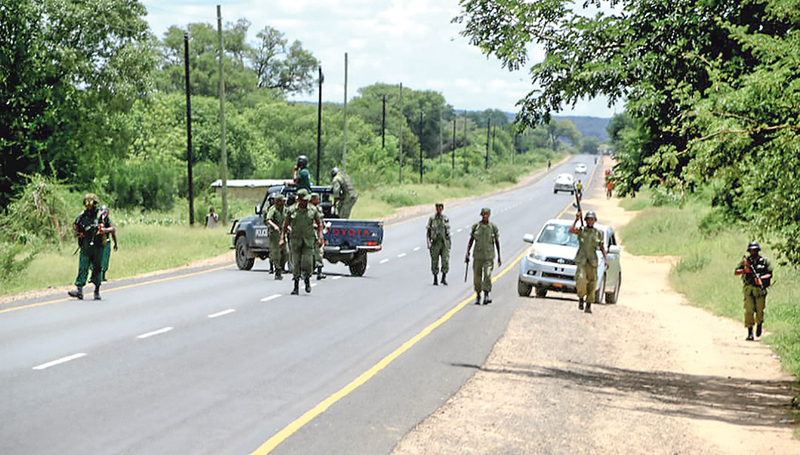 A VIOLENT suppression of a political rally of Zambian opposition leader Hakainde Hichilema in Sesheke by government security forces had a serious spill-over effect on Namibia after the border post near Katima Mulilo in the Zambezi Region was closed for almost an entire day. Zambian media reported that the United Party for National Development opposition party held a campaign rally is Sesheke on the same day that the Zambian President, Edgar Lungu, was scheduled to visit the small town in the south west of Zambia. On the Namibian side of the border, the situation was calm and the Zambezi Regional Crime Investigation Coordinator of the Namibian Police, Deputy Commissioner Evans Simasiku, said that to his knowledge none of the Zambian people crossed the river in an effort to flee from the violence and to find refuge in Katima Mulilo. “The border post was closed for a few hours last week before but it was reopened and traffic is flowing normally,” he said. Deputy Commissioner Simasiku said he was not aware of the drama that played out across the Zambezi River until well after the incident. “All I know at this stage is that the region in Zambia under which Sesheke resorts is in the process of preparing for local or regional elections which may be what caused the police there to suppress an uprising by some unruly residents,” he added. 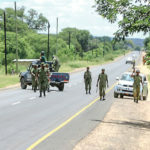 The Zambian police reportedly fired several shots and teargas at unruly protesters who blocked the main road of the small town with rubble and tyres on Friday. “We were almost 35 kilometres away from his (Lungu’s) own meeting. He sent a group of about 100 heavily armed men who opened heavy fire (including machine guns) at us. With God’s grace, I survived and had to hide in the forest for eight hours,” Hichilema tweeted on Friday. The Zambian media reported that both Zambian leaders were on the campaign trail for their candidates in an upcoming parliamentary by-election in the Sesheke constituency.